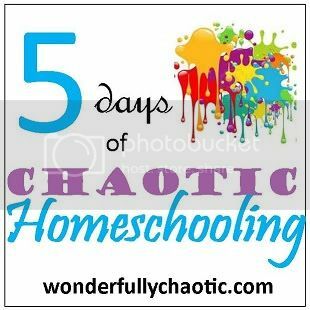 5 Days of Chaotic Homeschooling: Day 2 - Embrace the Chaos...and other solutions! Take a step back. There's nothing wrong with taking a temporary break. 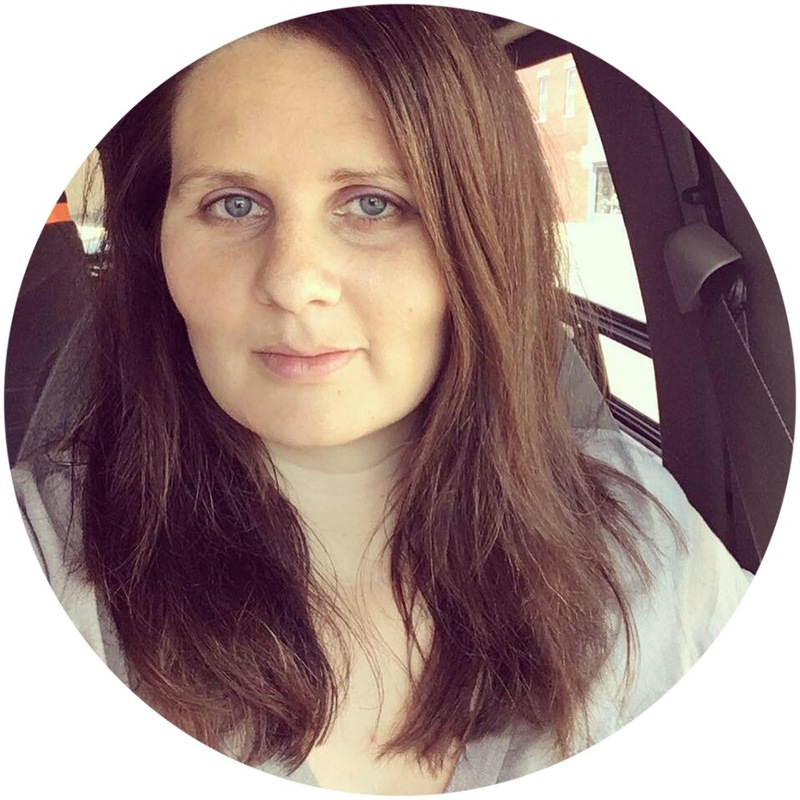 Illness, the death of a loved one, or a brand new work schedule can be so stressful that sometimes you just need to remove yourself from "homeschool momma mode" and refocus. I've done this myself before. Sometimes a day (or even a week!) of recharging is just what the doctor ordered. And that doesn't mean you have to just "quit school cold turkey" either! Just do a light day of work or a small unit study. Even if you're just read a book together, do a puzzle, and then send them outdoors to play - give your mind a little break and then get back on track. Ask for help. Easier said than done, right? Perhaps. Asking for help can be hard because it's kind of like admitting that you've messed up or that you're not perfect - but hey, guess what? That's okay! None of us are perfect and we're all going to require help at some point in time. Telling someone how you feel or that you need advice can do wonders for your stressed self. Not only does it relieve your mind, but just hearing someone tell you "It's okay" or "I'm listening" can make a world of difference. Talk it out with your husband, mom or dad, best friend, aunt, whoever you know you can talk to about homeschooling. No one comes to mind? How about the internet? There are many websites, blogs and Facebook pages that are chock full of experienced homeschool mommas that you can ask for advice or just commiserate with, like Hip Homeschool Moms, The Homeschool Lounge, The Busy Homeschool Mom, and The Old Schoolhouse. Embrace the chaos. One of the absolutely wonderful benefits of homeschooling is that you can do what works for your family. If you're not morning people, you don't have to do school in the morning! If you want to do chores before schoolwork, then by all means do it! Some children work better by working for short sessions (10, 15, or 20 minutes at a time) with breaks in between while others would rather get all their work done in a few hours. Go with what works best for your family's schedule and lifestyle! It's also good to remember that a lot of different life skills or practical lessons can be learned through chaotic times - I'm always looking for ways I can bring "school" into our everyday life, like when we go on walks, when we're running errands, etc. That applies to chaotic times too! Have a new baby in the house? Why not give some practical lessons on how to take care of a baby, conduct "experiments" on which toys the baby responds to, or read books with your older children on how babies grow, develop, and learn? So to sum up, what can you do when you're faced with a period of chaotic homeschooling? It's okay to take a step back and regroup for a bit. If you need to ask for help or confide in someone that you're struggling, that's okay too! And most importantly, don't feel that you have to follow a cookie cutter mold of what a homeschooling family should or shouldn't do - do what works best for you and your family! Love the post. I often talk to moms who are stressed because they feel they have to keep a rigid schedule or something unexpected comes up and they get behind a little. I always recommend taking a day or two off, doing a light day, and to realize that we are not supermoms, we are just moms who love our children. Thanks for the post! I really liked this post. This quote, "One of the absolutely wonderful benefits of homeschooling is that you can do what works for your family." is one of the things that many families don't realize. We can do it our way--what a blessing. Chaos seems to be the definition of our family lately. If I didn't embrace it I might just cry all the time. Stepping back and letting some things go does make a big difference. These are so important to remember, especially when we hit a bump in the road. And we all do eventually!